Ex-soldier turned space pirate Tey Raider is visiting Earth to steal a fortune and use one of the Red Rock vortexes to escape into the deep black. When he bumps into Sophia West, he has no idea the human woman will throw a wrench into the hyperdrive of his master plan, and spin him, his storm cruiser, and his heart out of control. 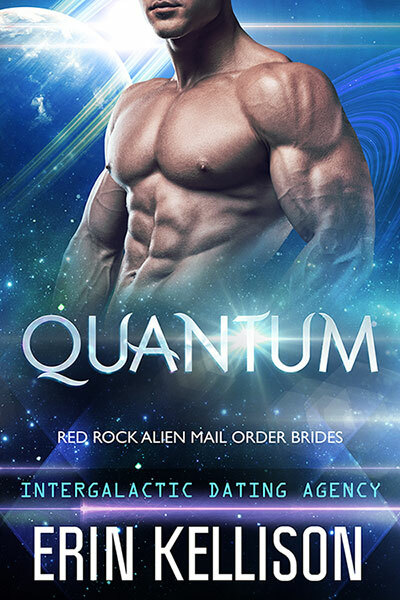 Sophia doesn’t believe in aliens until a Sedona-based dating agency mixer puts her in direct contact with out-of-this-world clientele. She’s undercover trying to locate her brother—abducted and tortured by the big-brained bully, Nimbus. She strikes a hard bargain with Tey Raider to help her find and free her brother. Never mind that the haunted ex-soldier makes her want to reach out and make an alien connection. The mission leads to a close encounter, and when the red dust settles, neither will be the same.